In the past couple of months Barkow Consulting has accelerated its research activity in a new and innovative part of the banking system called FinTech. In a first note on the space we have looked at CrowdInvesting in Germany vs UK followed by some slicing and dicing of the broader German FinTech universe (see pic below). We have also created a FinTech Country Ranking. Finally, we have looked at what’s needed for German CrowdInvesting to grow up. Today, we would like to present our German FinTech Money Map. Our FinTech Money Map is a data base, that has been built up by collecting venture capital investment data for German FinTech companies (as well as international FinTech investments of German venture capitalists/investors). 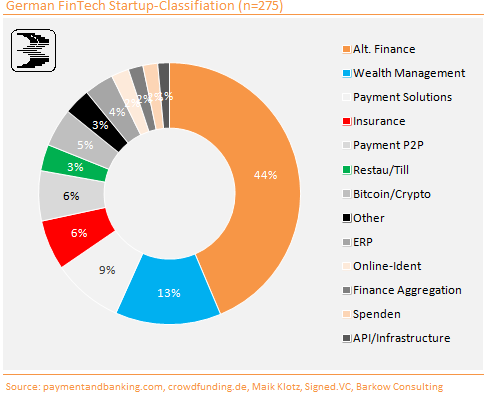 While our Money Map has been filled with much care during the last months, it will never represent a complete picture of German FinTech financing. Both FinTech as well as Venture Capital in Germany are notoriously intransparent. Consequently, relevant data is hard to come by and collecting it labor intensive. Nonetheless, with currently 152 investors/venture capitalists and 252 FinTech investments/portfolio companies (including couble counts!) 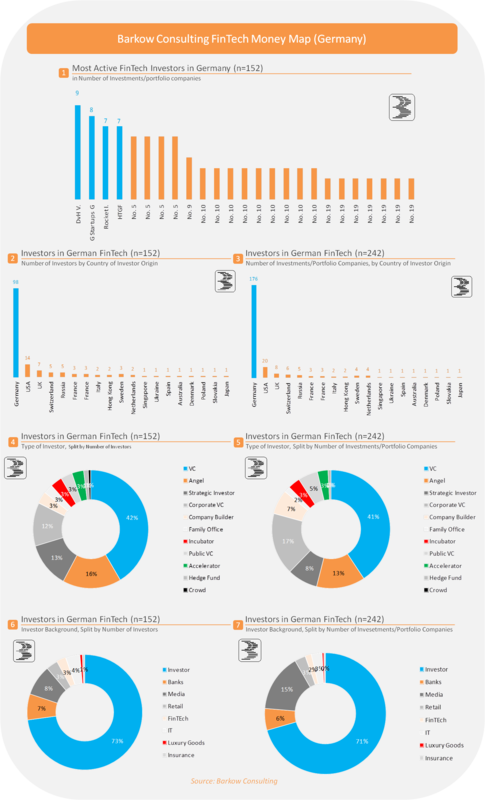 as well as comfortably north of 250 financing rounds we feel that our FinTech Money Map provides a very representative picture of the German FinTech funding situation. « CrowdInvesting: What’s Needed to Grow Up?